"You can either profit by this or be destroyed." The Imperial Assault Regional Championship season is now upon us, and you should be a part of it—even if you've never yet tried your hand at the skirmish game. 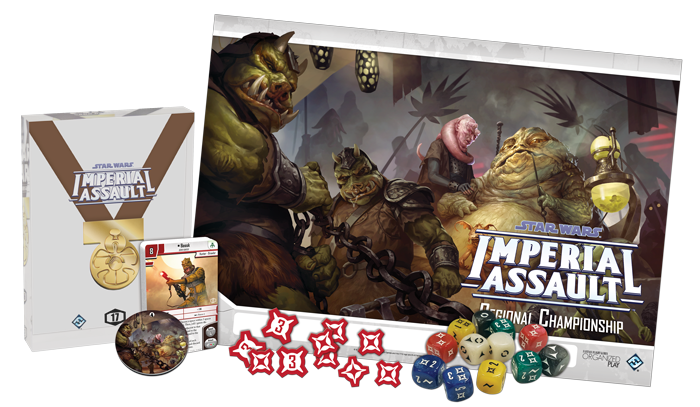 Imperial Assault skirmishes are fast-paced, ground-based, Star Wars conflicts between opposing armies, with both sides searching for every opportunity to score objective points and destroy enemy units. 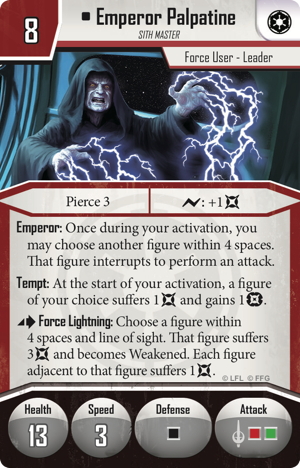 And amid all the blaster fire, lightsaber duels, and explosions, you can shape your battles with the surprising tactics and Force powers of your command deck. Of course, if you're a veteran of the skirmish game and Imperial Assault tournaments, you already know all of this, but if your experience is mostly with the campaign game, you can think of the skirmish game as though it were the escape from the Death Star in A New Hope—all boiled down to rounds of miniatures-moving, dice-chucking action. From November 25, 2017 to March 25, 2018, the Imperial Assault Regional Championships offer you a great opportunity to jump into the action. 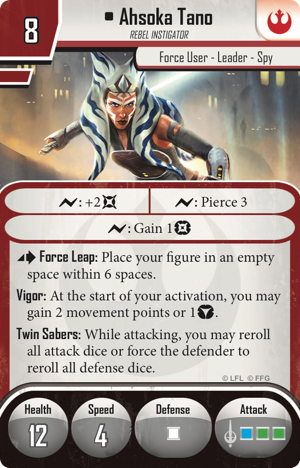 Not only do these high-energy events draw players from near and far, but they're the perfect occassion to break out Driven by Hatred and the other new skirmish upgrades from the Heart of the Empire expansion and to pair them with the new Force users released at the same time— Ahsoka Tano , Maul , and the Emperor . Plus, when you play, you put yourself in contention for all of the event's exclusive prizes—many of which can be used in both the skirmish and campaign games. You can even win some of these without ever making the top tables! The Organized Play program for Imperial Assault is all about helping you get more enjoyment from your games—more places to play, more players to meet, more variety in your games, and more ways to customize your experience. This season's Regional Championship prizes boast a decidedly Scum and Villainy aesthetic, acknowledging the roles that the galaxy's various bounty hunters, crime lords, and Hutts play in the greater Star Wars saga. You'll find these characters and their actions represented by alternate art deployment cards and a decorative point dial. And it's hardly a stretch of the imagination to think of these characters fighting for the bounty represented by the speckled dice available to the Top 8 players at each tournament. 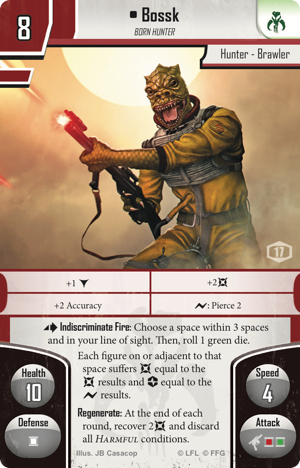 Top 64: Alternate art Bossk deployment card. Arguably the galaxy's most ferocious Trandoshan bounty hunter—and certainly its most notorious—Bossk roars to life with the dramatic alternate art on this deployment card. 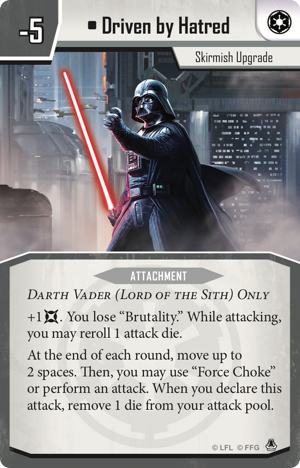 Add him to your skirmish force, or recruit this villain to your campaign—either way, with this deployment card, he'll be more than ready to leap into action. Top 16: Set of acrylic damage tokens. Add a little extra gravitas to each wound you suffer with these acrylic damage tokens. Top 8: Set of speckled dice. Add a little bit of sparkle to your battles—and incentivize your bounty hunters. This set of custom dice includes two of each type, all speckled to add a little extra glimmer to your games. Top 4: Commemorative acrylic point dial. There are few places in the Star Wars galaxy more fully associated with menace and mystery than Jabba's Palace, and you thrust all of the court's ominous weight onto your opponent by tracking each increase in your score with this commemorative dial. It's also a perfect tool for tracking your threat increases in the campaign game. Champion: Regional Championship trophy and National Championship prize bye. Win your Imperial Assault Regional Championship, and you can almost relive the medal ceremony that followed the Battle of Yavin. The Regional Championship trophy is inspired by the medals awarded to Luke Skywalker and Han Solo, and it is accompanied by a free first-round bye at your region's National Championship, a terrific acknowledgment of your resounding victory. Thrust your new Force users into action, meet new players, make new friends, and enjoy riveting games of Imperial Assault. 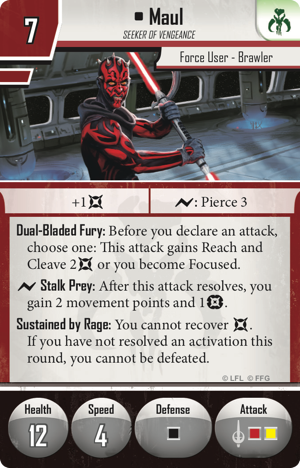 Review our list of Imperial Assault Regional Championship tournaments to find the one nearest you. Then, make your plans to attend one of these high-energy events and enjoy more thrilling, boots-on-the-ground Star Wars combat and drama!